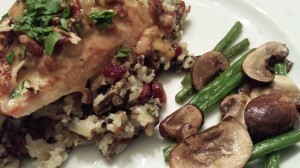 Chicken Wild Rice Medley. Chicken is a staple in my kitchen. I try to buy it on sale, and prefer the free-range organic versions. 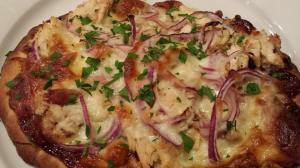 Chicken breasts are a versatile ingredient for many dishes. 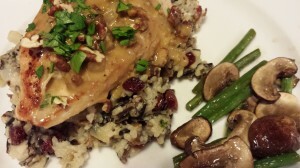 My Chicken Wild Rice Medley pulls together a garlicky chicken breast with wild and white rices, toasted nuts, caramelized shallots, and dried cranberries. Sometimes I will make a pan sauce from the drippings of the cooked chicken, some onions, some unsalted butter, and some cognac. It’s a satisfying yet slightly fancy dish for Sunday dinner, too. I love to substitute different toasted nuts for slightly different flavors. 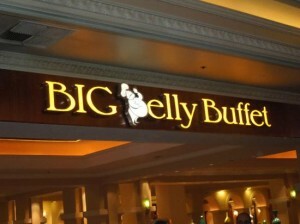 Also, from time to time, I will add shaved Brussels sprouts for a crunchy texture. 1. 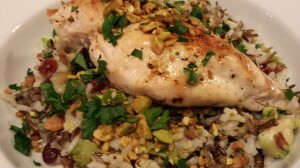 Garlicky chicken breast over wild rice medley with dried cranberries, shaved Brussels sprouts, caramelized shallots and toasted pistachios. 2. 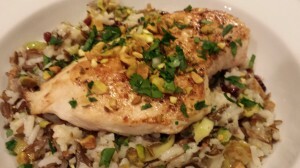 Garlicky chicken breast over wild rice medley with dried cranberries, caramelized shallots, and toasted pecans. 3. Garlicky chicken breast over wild rice medley with dried cranberries, caramelized shallots, tiny asparagus tips, and toasted walnuts. However you decide to pair your ingredients, you’ll love this versatile dish. Cook some wild rice and some white rice in chicken stock/broth and water. Caramelize some chopped shallots and add to the rice mixture. Throw in some dried cranberries and chopped toasted nuts. Then cook a chicken breast in canola oil or butter. Add some minced garlic. After the chicken is cooked, remove it from the pan and keep warm. To make a pan sauce, add some butter and diced onion. When the onion has sweated a bit but is still translucent, add some chicken stock/broth and cognac to the pan. Reduce the sauce until it thickens and add some cream to finish it. 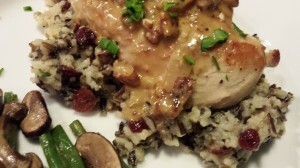 Serve the chicken over a bed of wild rice medley and spoon the pan sauce over the chicken breast. Top with additional chopped toasted nuts, and chopped parsley to garnish. Serve and enjoy! 1. Put the chicken stock/broth, water, and 2 T butter or oil into a 6 qt saucepan. Bring to a boil. At this time, add the wild rice only, and bring back to a boil. Lower the heat to a simmer and cover the pan with a lid and cook for 25 minutes. 2. After 25 minutes, add the white rice to the wild rice in the pan. Cover and continue to cook until the liquid is mostly evaporated and both rices are cooked. 3. While the rice is cooking, caramelize the shallots in some butter over medium heat. If you are using the shredded Brussels sprouts, saute them with the shallots until soft. Add the shallots, optional shredded Brussels sprouts, dried cranberries, and most of the chopped toasted nuts to the warm rice mixture along with 1 T of butter. Cover and keep warm. 4. Meanwhile, heat a saute pan over medium heat. Warm the butter or canola oil in the pan. 5. Season the chicken breasts with salt and pepper on both sides. 6. Saute the chicken breasts in the butter or canola oil, smooth side down first, until the chicken breasts have browned. Turn over the chicken breasts and cook their other side. 7. When the chicken is cooked to a golden brown, and their internal temperature reads 180 degrees Fahrenheit, remove the chicken breasts to a plate, cover with foil, and keep warm. 8. For the pan sauce, over medium heat, add the 1 T of butter to the pan drippings. When the butter melts, add the chopped onion, stirring the onion around as it becomes soft and translucent. Add the chicken stock and cognac and reduce over high heat for a few minutes. Add the cream and reduce a bit more. When the sauce is ready, put the chicken breasts back into the sauce to warm through. 9. To plate, spoon a bed of wild rice medley onto your serving dish. Top with a chicken breast. Spoon some pan sauce over the chicken breast. Garnish with some chopped toasted nuts and chopped parsley. Repeat for all serving dishes. Serves 4 as a main course. Serve with a side vegetable such as my Sauteed Haricots Verts and Cremini Mushrooms (recipe coming soon). Variations: Use your favorite chopped nuts. Use boneless pork chops instead of chicken breasts. Use dates instead of dried cranberries. 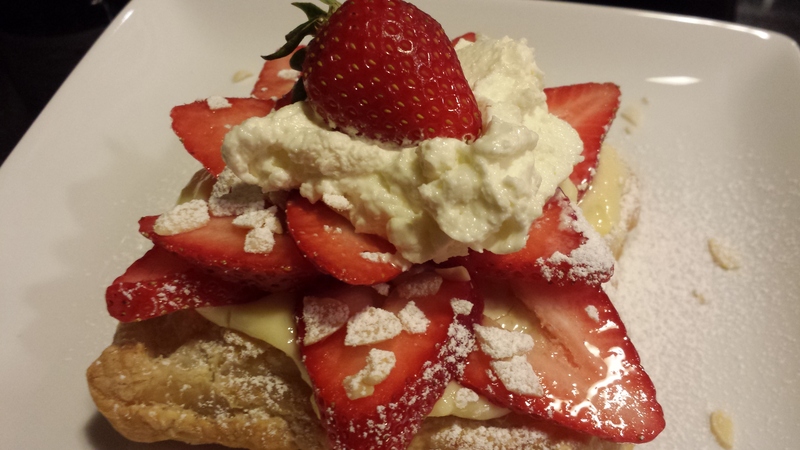 Omit the cream from the pan sauce if you are watching your fat intake. You can substitute coconut oil for the butter and canola oil nicely in this dish, as the flavors will go well together.